Become a Member of the Scott Associates! Admittance to gardening lectures featuring renowned speakers who offer insights on a variety of gardening topics. Ticket(s) to Garden Day, an annual tour of private gardens. The Hybrid, the Arboretum’s quarterly newsletter, with useful information on new plants and gardening trends. See a sample issue. Invitations to the Spring Celebration, Fall Celebration, and other special events. Two plant dividends per year. Entrance to members only shopping during all three Scott Arboretum Selections sales. Special mailings such as two Schedules of Events each year, announcements of special events, and conference brochures. Free guided walks through the Arboretum highlighting plants of seasonal interest. Eligibility to go on trips to some of the great public and private gardens of the world with Arboretum staff. Borrowing privileges in the Arboretum’s horticultural library, with subscriptions to over 50 periodicals, 100 newsletters, and more than 1,000 volumes devoted to horticulture. Volunteer opportunities to work in the Arboretum’s gardens, greenhouse, or at special events. Discounts on events, tours, workshops, and trips. 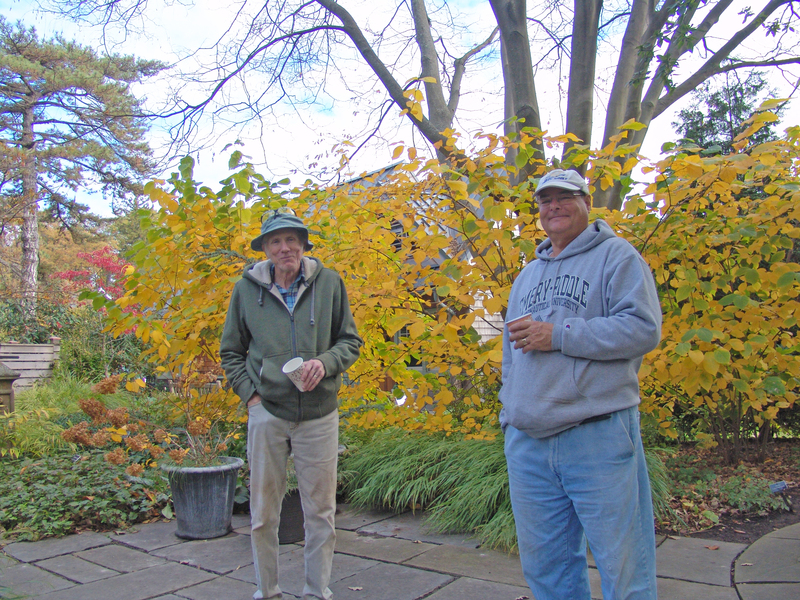 Admittance to the Members Plant Exchange, a plant swap held each spring. Discounts at local garden centers and businesses. An invitation to the Special Member event each year such as a garden party in an acclaimed private garden. Ten custom-made plant identification labels. Borrowing privileges for an embossing label-maker for one week per year. Labels are free. A choice of $40 workshop credit coupon or Individual gift membership. One free custom-designed tour at the Arboretum or lecture offered by an Arboretum staff member per year. Hybrid, the Arboretum’s quarterly newsletter.